100 Main is comprised of two types of office spaces. 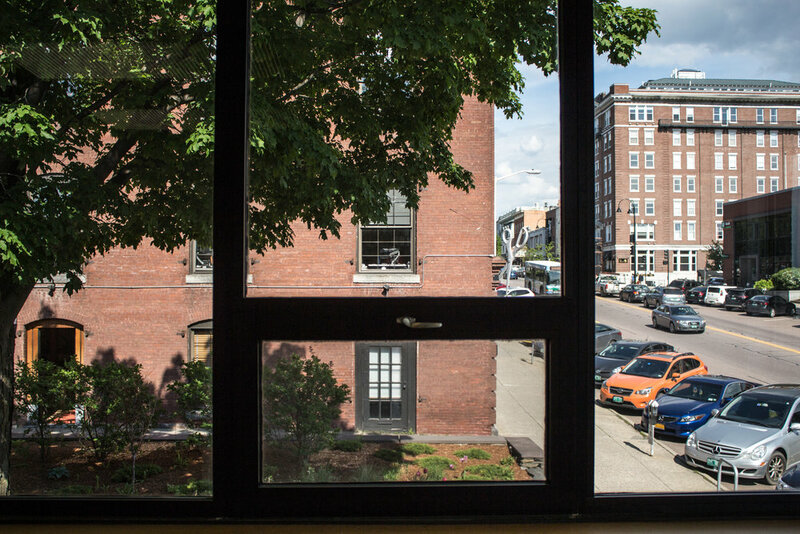 The first office space type includes big and bright windows overlooking Main Street, Pine Street or our park. 100 Main's second type of offices include big windows overlooking Lake Champlain. These offices also offer sleek, black shelving, perfect for organizing all of your office essentials.